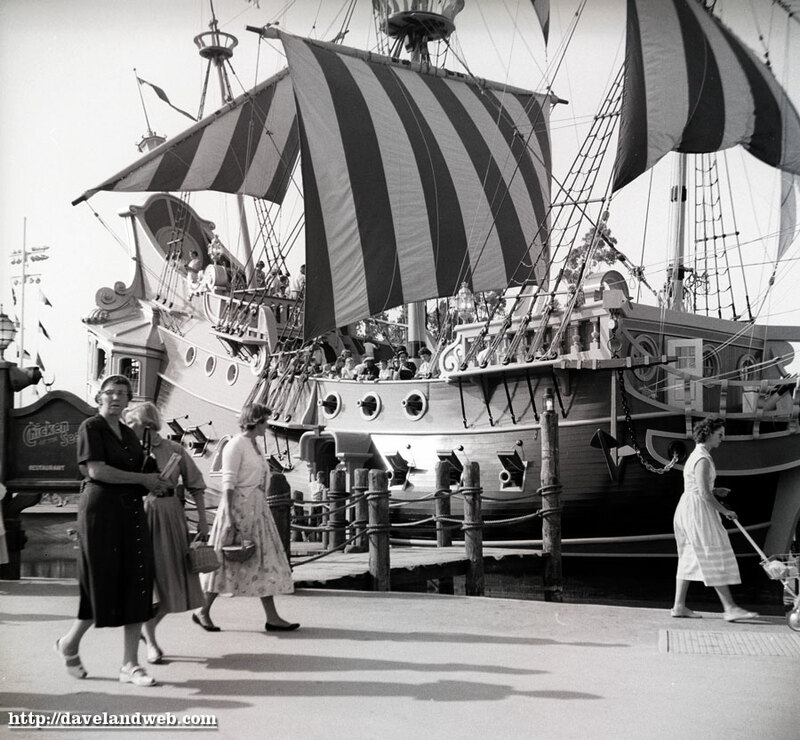 The last few of this 1950’s series begins with a shot of the Adventureland entrance; looks like this lady is trying to scoop our photographer with HER shot–the nerve! 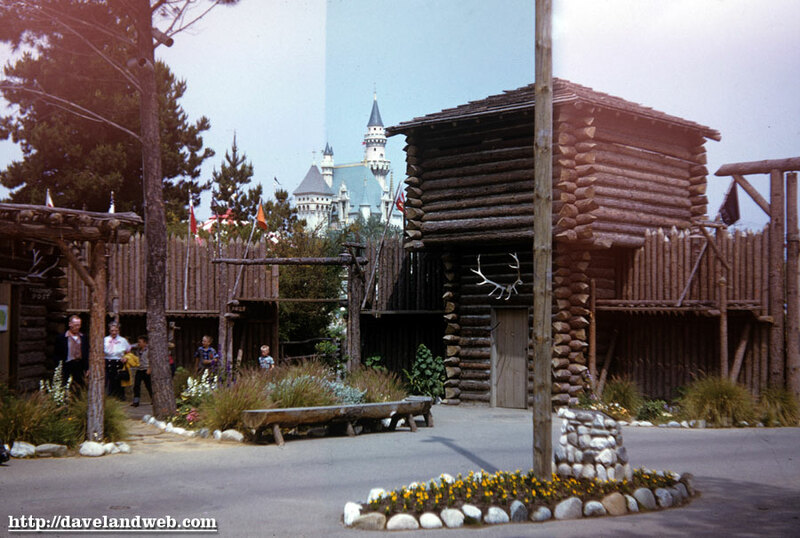 View #2 was taken just inside the Frontierland gates, which often seems to be the least crowded of all the Disneyland entrances in the morning. 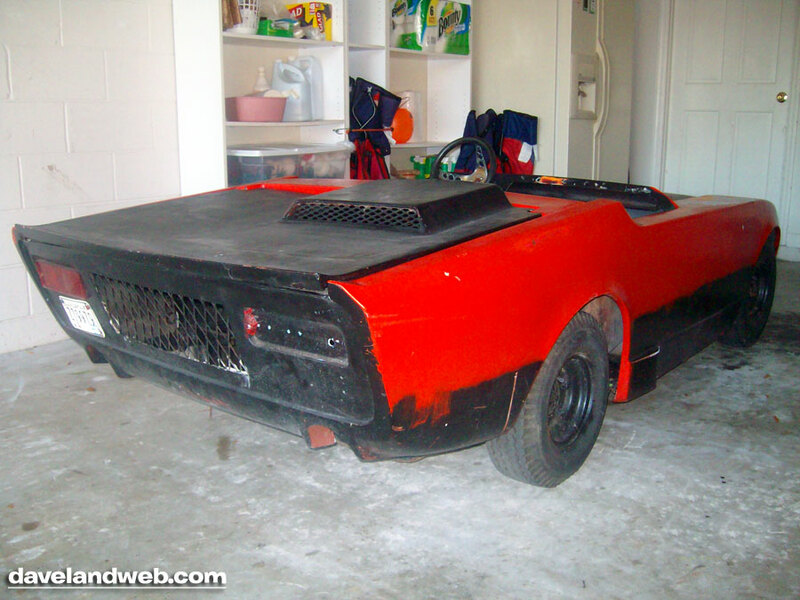 HUGE shout-out to David for sending these fantastic photos from his collection! 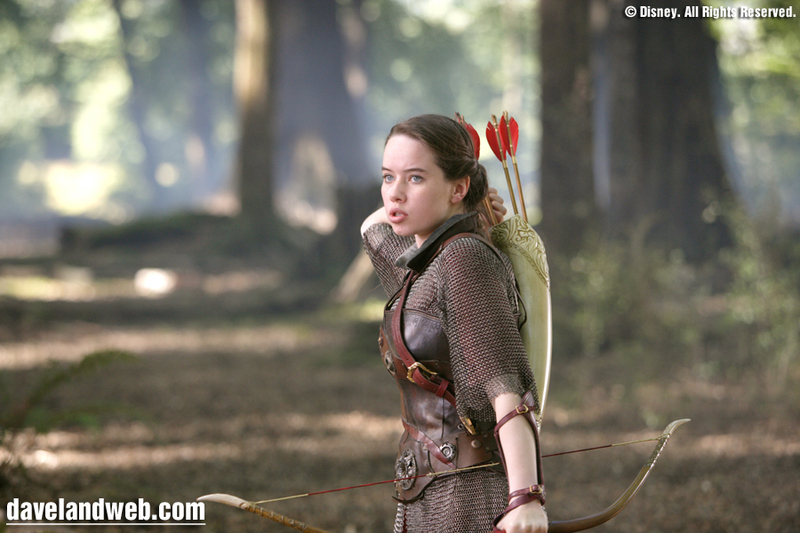 DVD/Blu-ray update: “The Chronicles of Narnia: Prince Caspian” is coming out next week on December 2nd. This installment is a little darker than its predecessor, which is probably why I like it better! Get it now on Amazon.com . 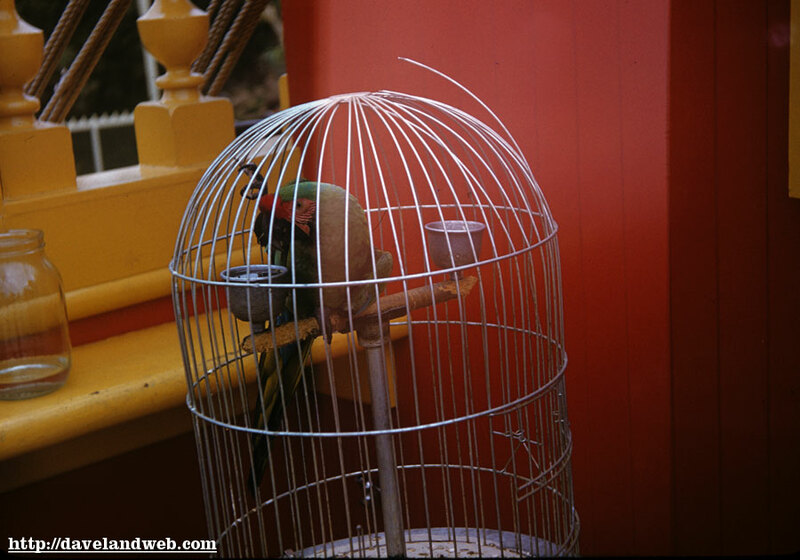 From the same undated batch as yesterday’s Mine Train medley comes this trio of Chicken of the Sea Pirate Ship Restaurant images. For all you ticket fans (and I know at least one out there! 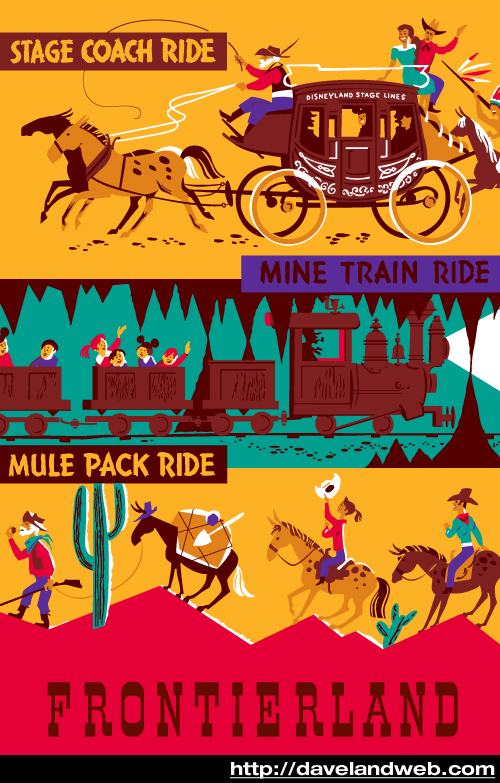 ), I included a closeup of the signage from shot #1. 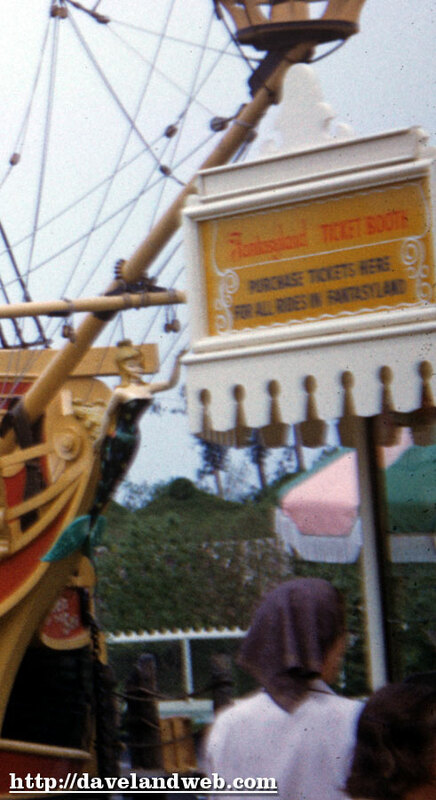 Ever wondered what you’d see if you were on the ship and looked back towards Fantasyland? Wonder no more! 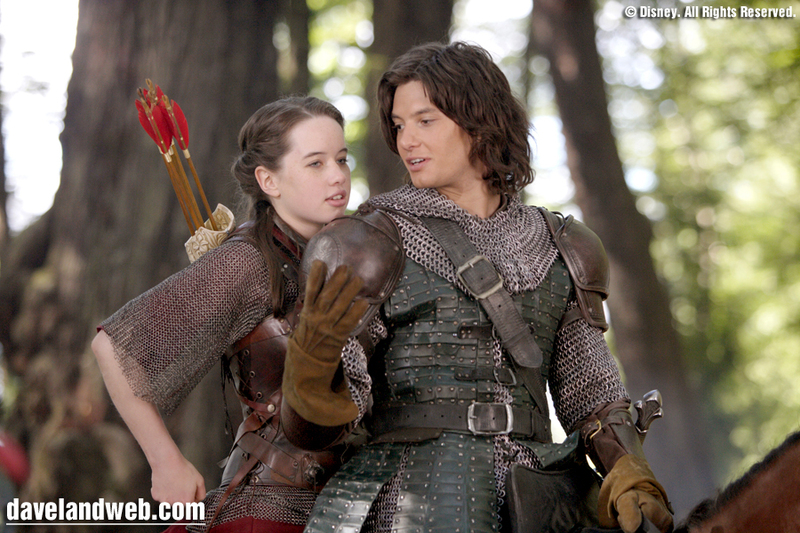 DVD/Blu-ray update: “The Chronicles of Narnia: Prince Caspian” is coming out next week on December 2nd. This installment is a little darker than its predecessor, which is probably why I like it better! Get it now on Amazon.com . 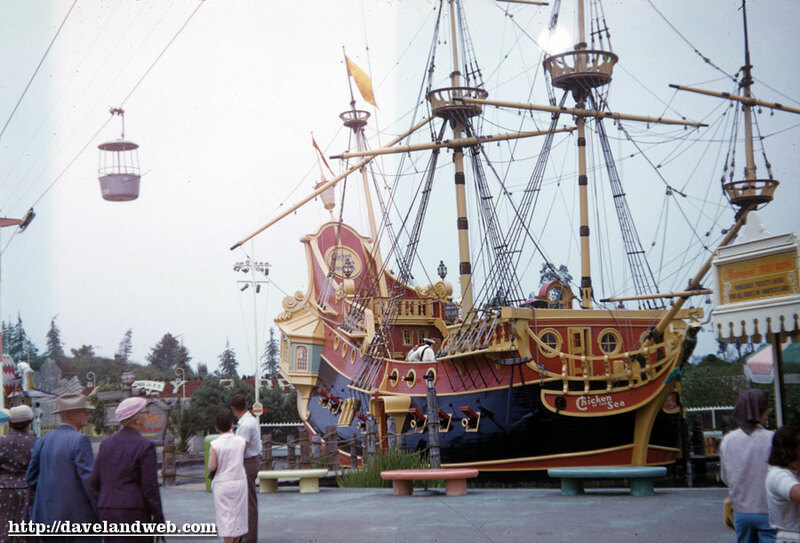 See more vintage Chicken of the Sea Pirate Ship photos at my regular website. 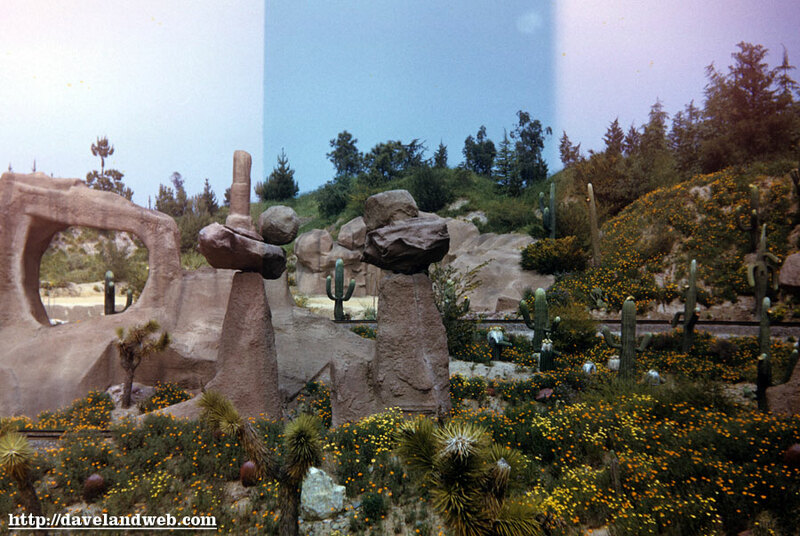 A few months ago, I acquired a batch of slides with some shots of the Mine Train from the 1950’s; handwritten on this first one shown here was "Seven Dwarves.” This was the first time I’d seen any mention of the cactus representing characters from “Snow White.” Here are the rest of the images from that batch. Please pardon the funky exposures! Sorry for a somewhat lackluster post; I am still navigating through my Thanksgiving feast induced food coma.DVD/Blu-ray update: “The Chronicles of Narnia: Prince Caspian” is coming out next week on December 2nd. This installment is a little darker than its predecessor, which is probably why I like it better! Get it now on Amazon.com . 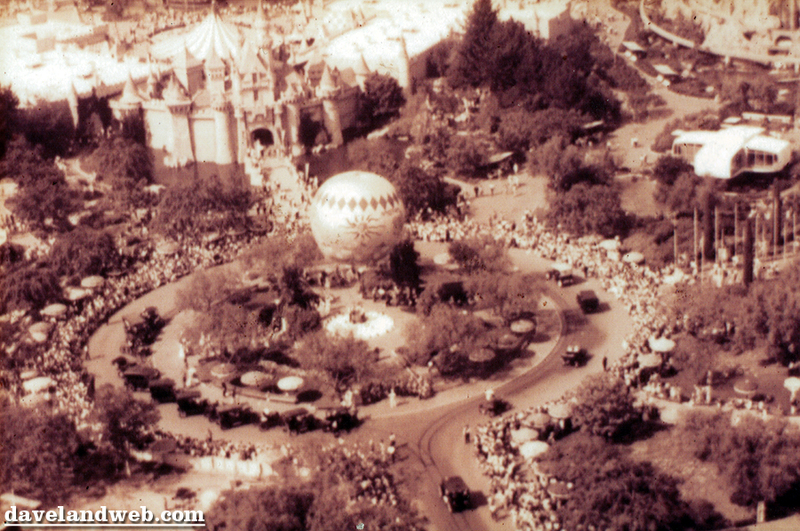 Thanks to Jason at Disneyland Nomenclature and a little digging on my own, I was able to uncover some of the background story to a few wacky photos I’ve acquired in the last year. 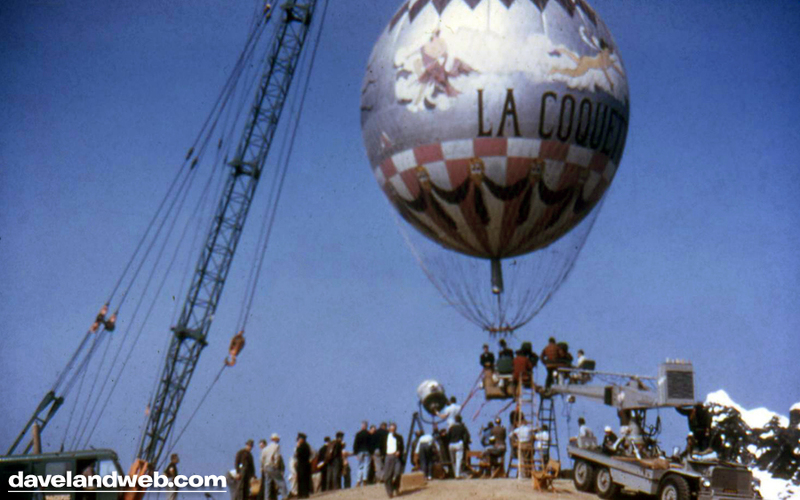 The first photo from today (found on the internet) shows a balloon named “La Coquette” (“the flirt” in French) being filmed for the Oscar winning 1956 film “Around The World In Eighty Days.” Actors David Niven and Cantinflas are in the balloon, which was painted with large figures from Greek Mythology. 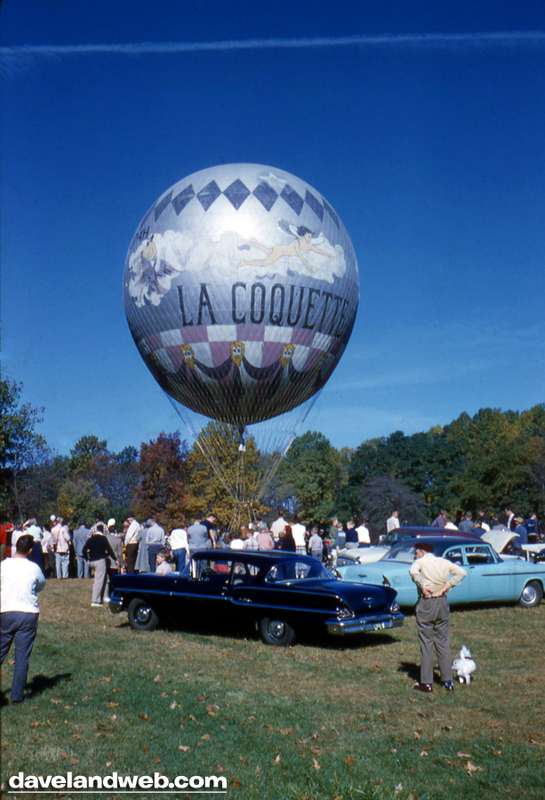 The balloon was built by Goodyear for the U.S. Navy and originally used during World War II for the training of blimp pilots. 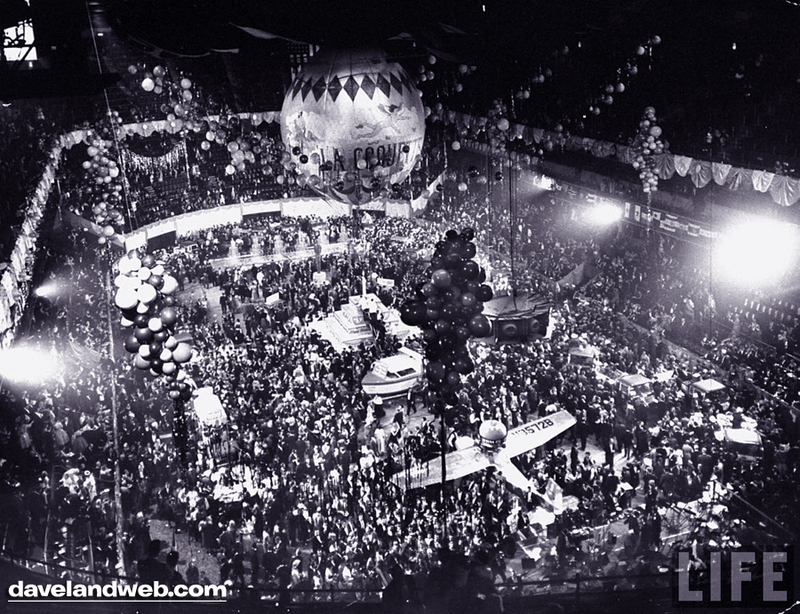 The Balloon Club of America acquired the balloon in 1952. 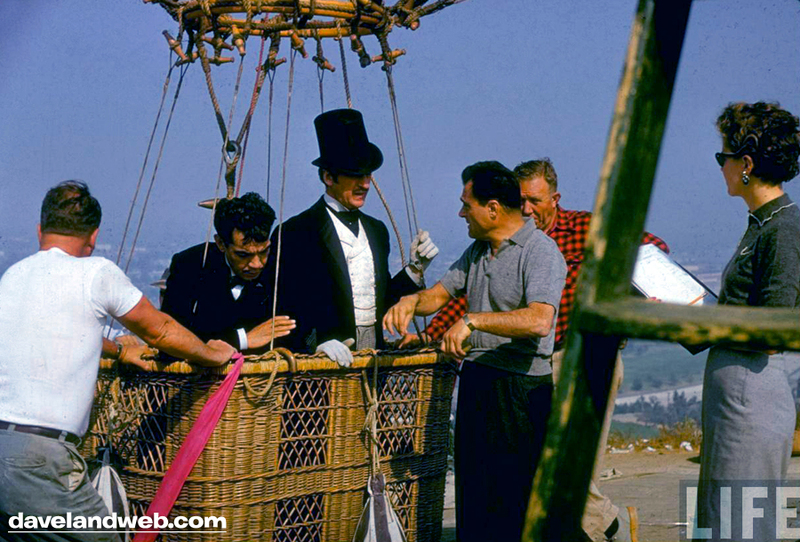 Photo #2 (from the LIFE archive available on Google) shows the two stars with producer Mike Todd. 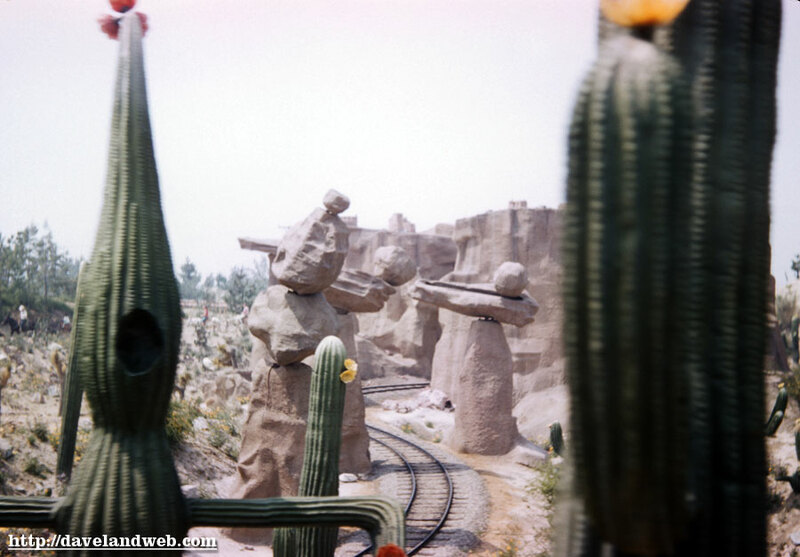 I can hear you readers now...Dave, what the heck does this have to do with Disneyland? Before you all close your browser window and get back to your Turkey, take a gander at this photo. 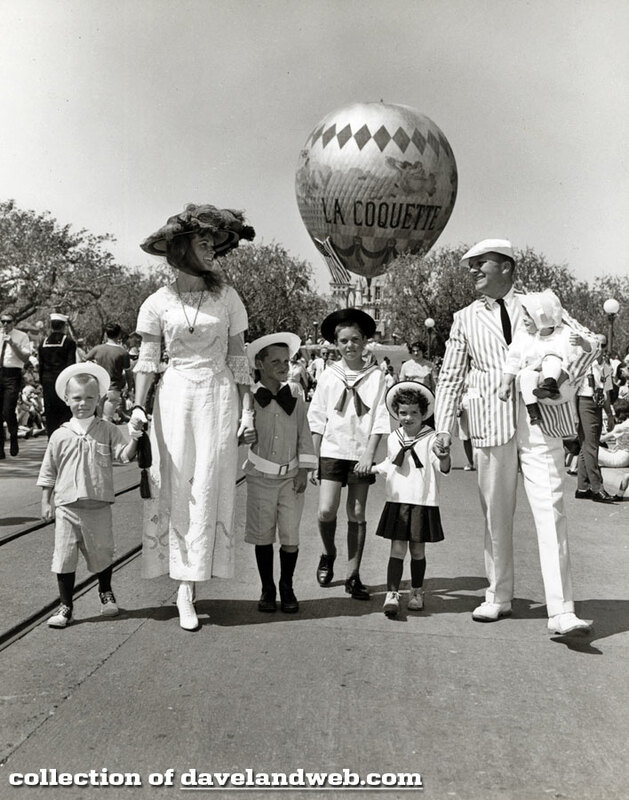 It’s Easter 1962, and for some reason, “La Coquette” found its way to Disneyland’s Central Plaza for the Easter Parade; it may have even been used again in 1965. 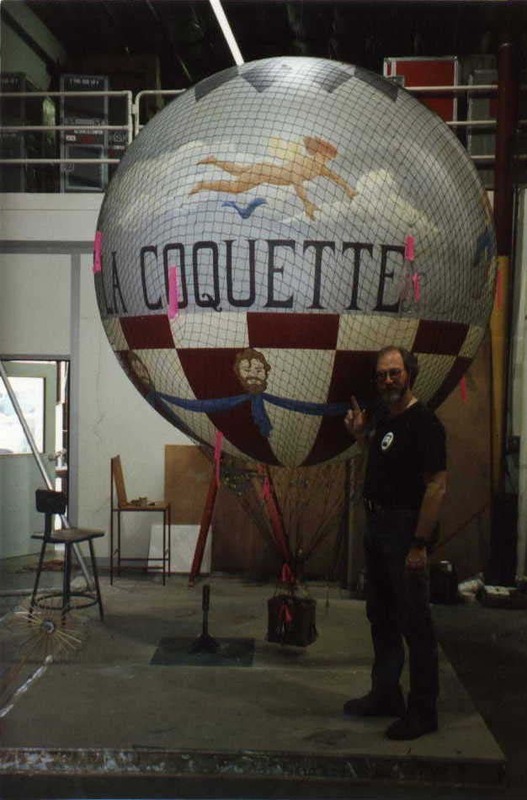 And there you have it readers, the story of La Coquette. She sure got around! Happy Thanksgiving to everyone - hope you all have plenty to be thankful for. 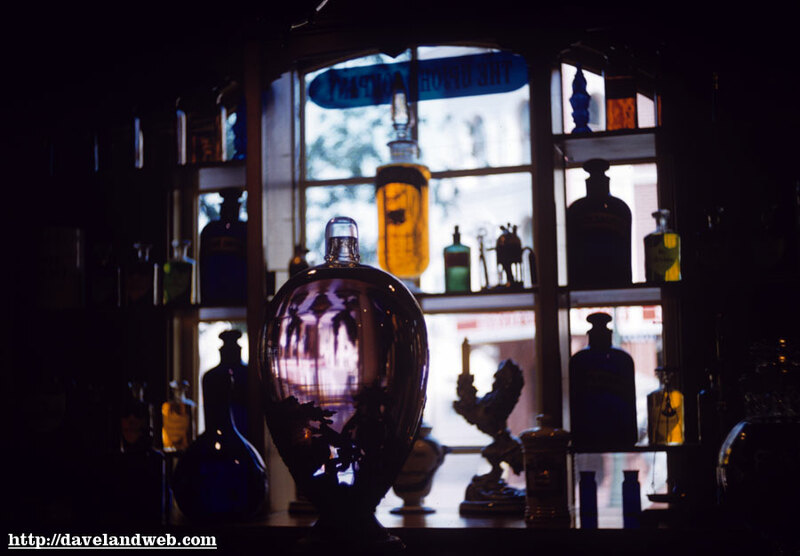 I know I am thankful for all the readers who contribute their comments, stories, and photos! Here’s the follow up on yesterday’s post and the requests to hear “the rest of the story” about Barry & Stephanie. Barry emailed me last night with this and also left a comment for yesterday’s entry, and I’ll warn you, it is somewhat sad. I’ve included it here for those that don’t check the comments section: “Wow, I just saw this and I am impressed with what Dave has done with this! The rest of the story isn’t what I was hoping for. 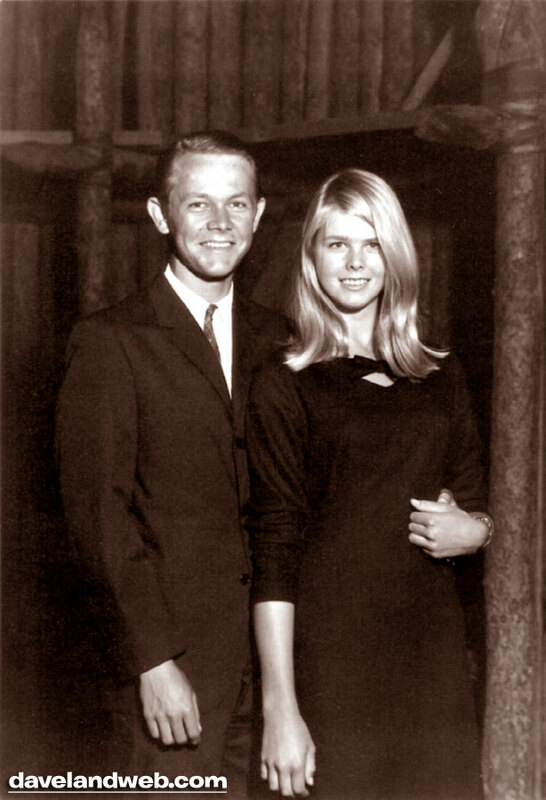 We wrote for a time but then I bet that having a boy friend in the army in the turbulent sixties wasn’t all that attractive and we just stopped writing. She of course never left my thoughts. When I got out in a couple years I looked for her and couldn’t find her (no internet then!). 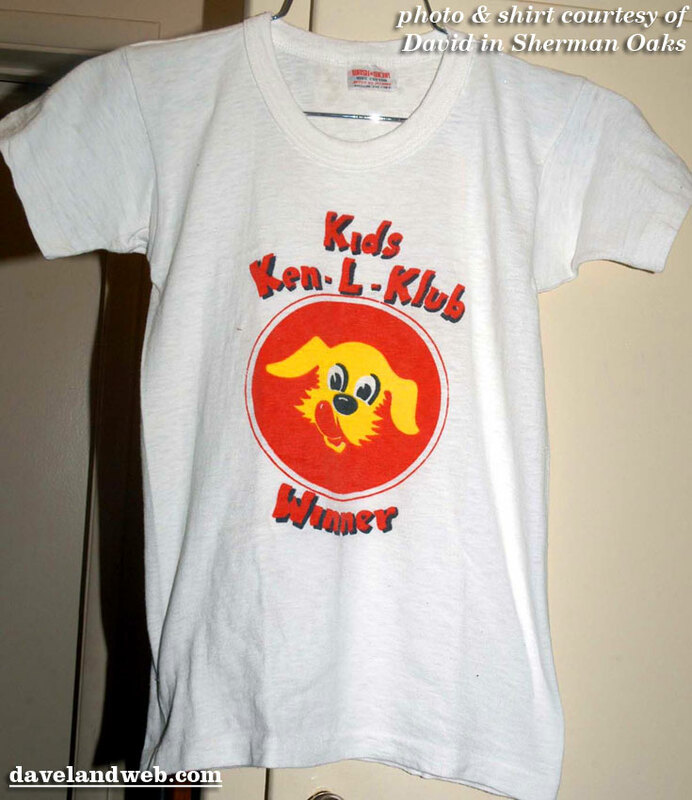 I married, had children, and then the marriage ended in 1983. So then I began a search for Stephanie again. It was years and years of letter writing and then in 2005 I managed to locate her two sisters living in their original hometown of Danville, CA. It was pure luck that they were found but then one of them wrote to me to let me know that Stef had been killed in a hiking accident in the Trinity Alps of Northern California. She had slipped and fallen a great distance. She was hiking with friends so she had help as fast as it was possible but she had died at the scene. She will always be part of me. Thank you all for asking.” I sure wish I had a different ending for this one, and was very sad myself when I read it this morning. Again, many thanks to Barry for sharing his special evening with us. 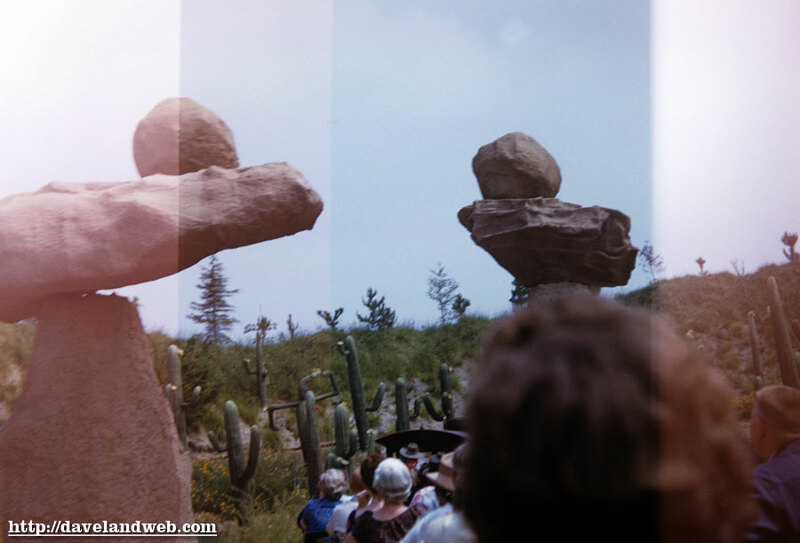 He has also promised to send more photos to post here from his other trips to Disneyland. 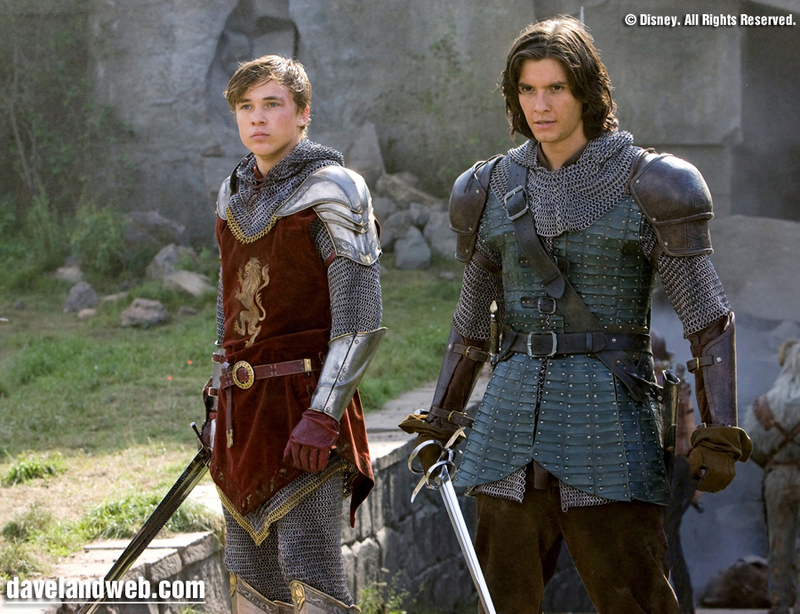 DVD/Blu-ray update: “The Chronicles of Narnia: Prince Caspian” is coming out next week on December 2nd. This installment is a little darker than its predecessor, which is probably why I like it better! Get it now on Amazon.com . Today’s brief interlude is devoted to a few readers out there. 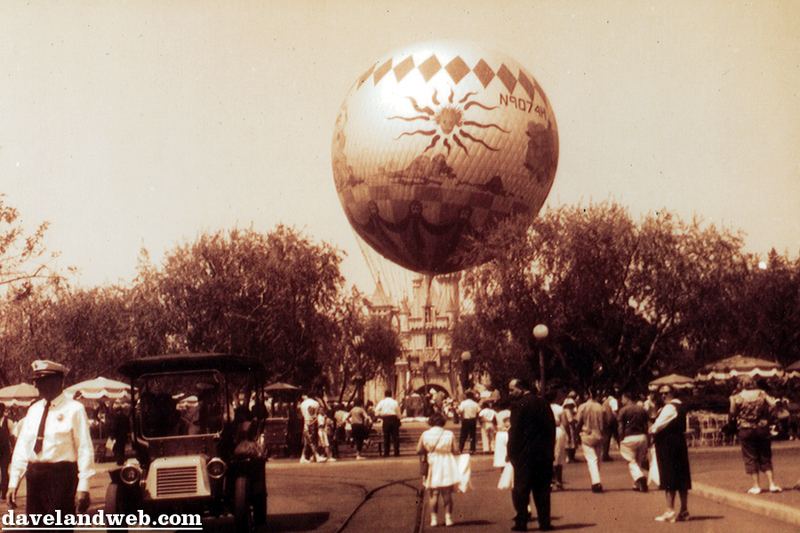 The first one is a gent named Barry who was VERY kind in sharing his story of Grad Nite 1965 with me. 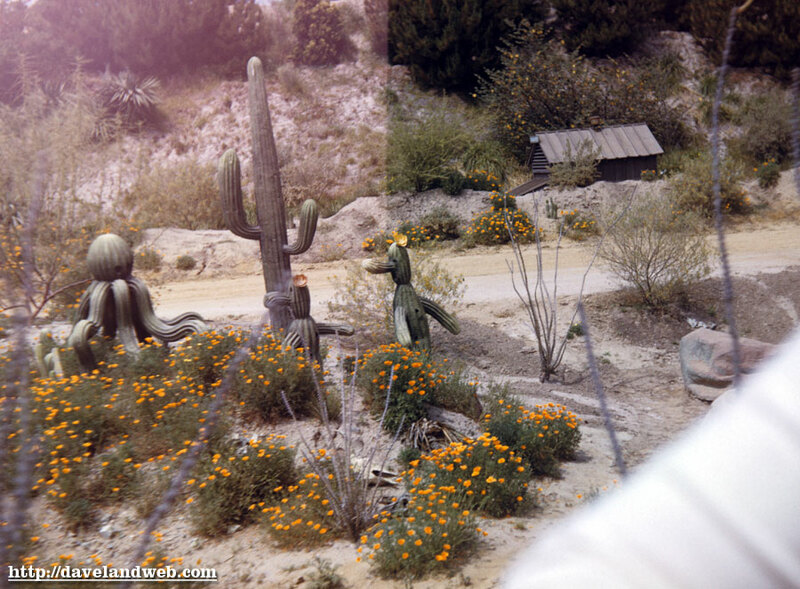 Barry & his date (students at Costa Mesa High School) are shown here, photographed inside the Frontierland Gates. Here’s his story of that magical nite: “I met Stephanie Shumate, the girl in the photo, after I was dumped by a girl who was too young to go to Grad Nite. I had wanted to talk to Stephanie all year long but never worked up the courage until I was left with no date and Grad Nite was a scant week away. We talked on the phone regularly until the time to go on graduation day. “I always thought that Grad Nite was one of the most important dates for a senior in Southern California, if your high school happened to do this of course. Not all of them did as it was a bit expensive but I always felt sure it was worth it. The Prom may be as important to some, but I preferred Grad Nite. Grad Nite was from 10 PM until the next morning the, day you graduate or very soon after. Only about ten to fifteen high schools went each night so it was not crowded at all and the lines for rides were very short. 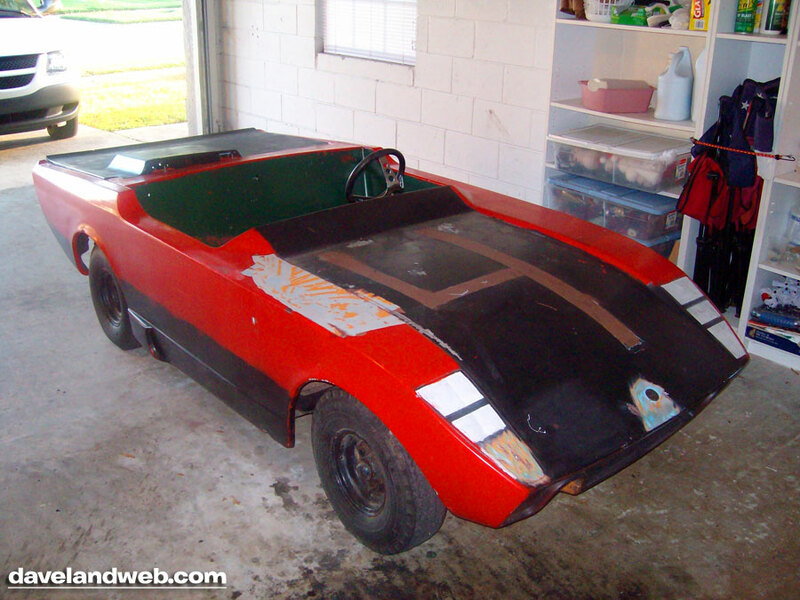 I picked up Stephanie in my old 1956 Blue Pontiac Convertible (the best Drive-In Movie car ever built) and then went to get my mom and grandmother so they could have the car overnight. The school didn’t want a lot full of cars! Then we all packed onto a school bus. My buddy Rick and his date (and future first wife Janis Minke) were also there and sat in the seat in front of us. “Stephanie was wearing a black knee length sheath dress and a light sweater. I had some suit of mine on since Grad Nite required ties and jackets for the boys. We did a few rides and talked all night, danced quite a few slow dances. For me it was the perfect night! 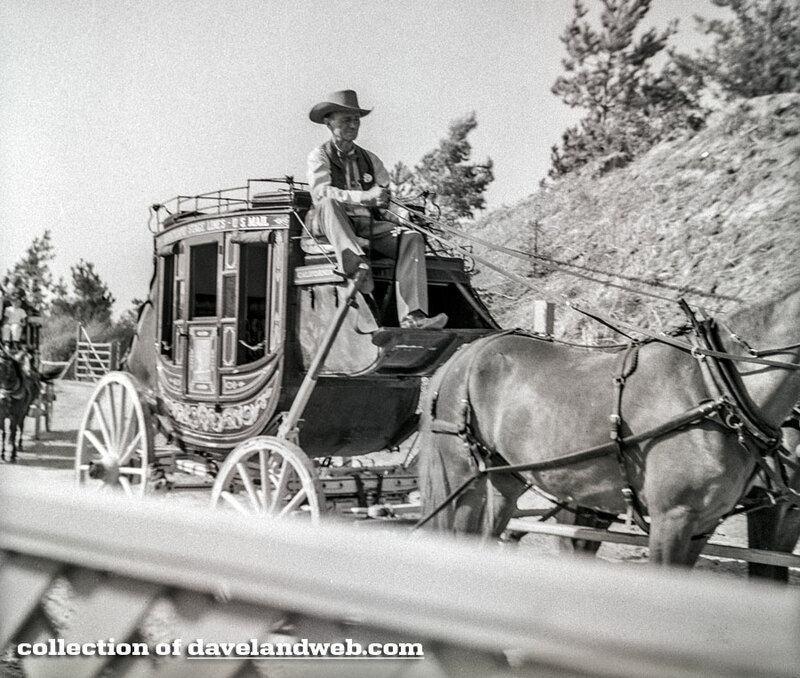 We eventually went to get the photo taken of us as a couple in Frontierland. I was so pleased just to be with her but as the photographer told us to smile, she reached down and took my hand, which explains the deliriously insane grin I am wearing at the time. 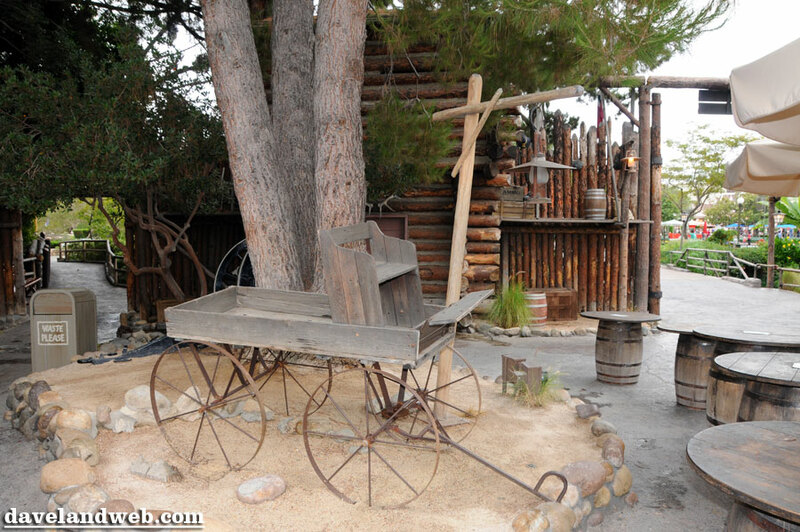 I am pretty sure we were not allowed on Tom Sawyer's Island at Grad Nite. 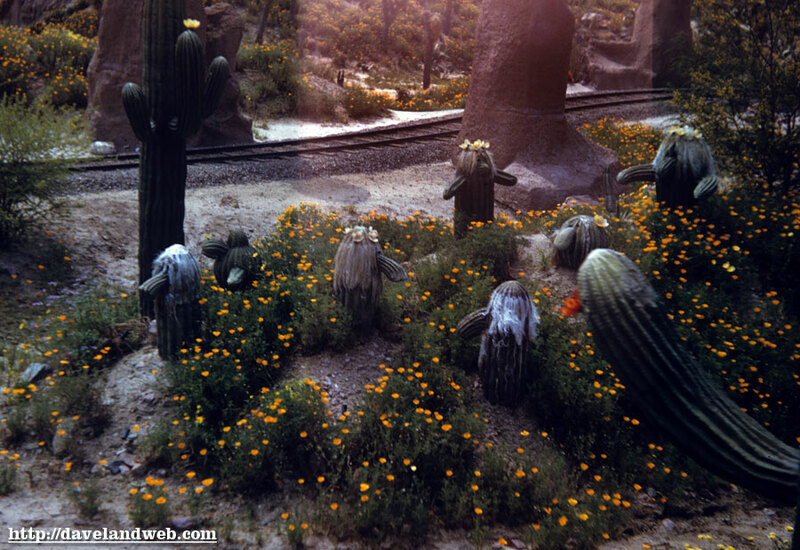 Too many of us would have found our way into Injun Joe’s cave! 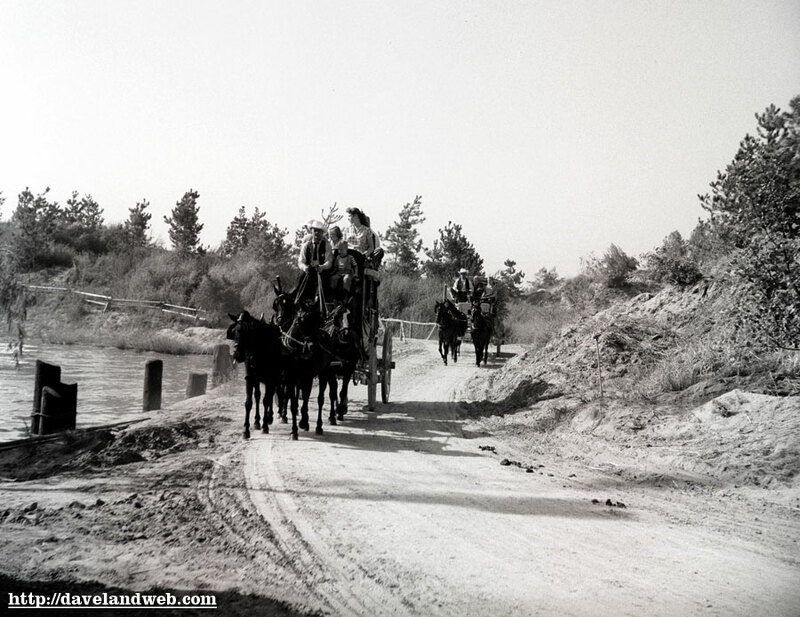 “By the time the skies were getting light, we were heading back to the bus but we had really gotten along just great and we did have a lot of fun there and ate a bit too early in the night. I fell for her totally but I had to leave soon after graduation for basic training at Fort Ord. I was sad that I would not get a chance to see her for over 6 months. But that night was magic and I still think it was the sweetest date I ever had for a myriad of reasons. When we returned from Grad Nite, mom was waiting in the parking lot and I drove her home so I could take the car to take Stephanie home in a little privacy. We drove up to her home and then I pulled into the driveway just as she asked, and she sat with me in the car as we talked about a few trivial things. She would look up at me on occasion smile and gently close her eyes and listen to me talk. I must have been boring her to tears! After a while she dreamily looked up, smiled, and asked if I wanted to kiss her (I think possibly as a way to get me to shut up!) Wow! I didn’t have to be asked more than once! It is still to this day one of the best kisses I have ever experienced in my life by far. It is emblazoned into my brain cells forever. I think a full half of my brain has been taken up with that memory. After that was over and my heart was beating somewhat normally she invited me in for breakfast. “Not too much longer after this—3 weeks maybe—I left for basic training, but she had agreed to write to me while I was there. 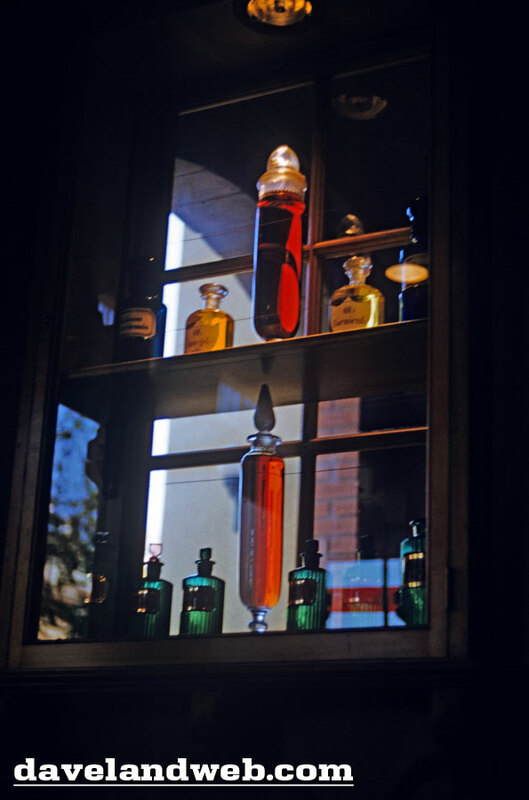 Letters were always nice in basic training since it was extremely lonely at times.” Courtesy of Tim at Vintage Disneyland Tickets we can see the Grad Nite Ticket for 1965. 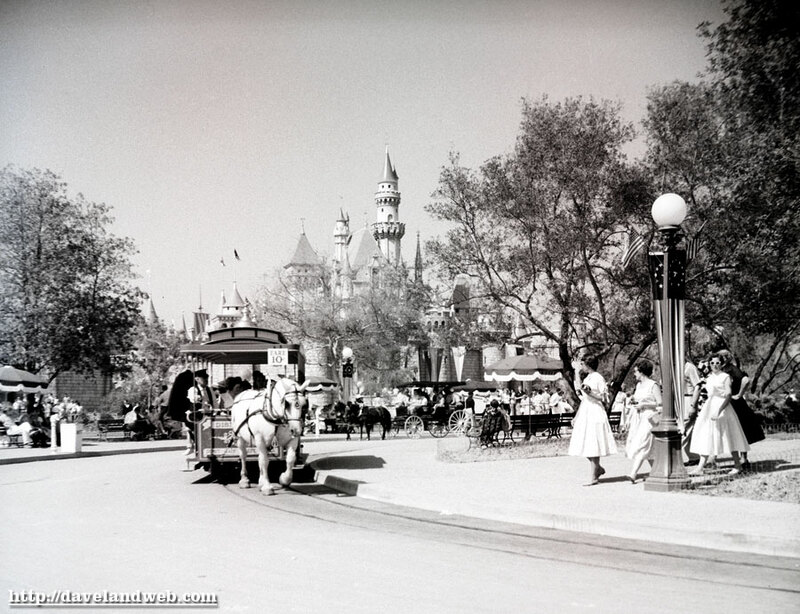 I dont like to get political on this blog, but I do feel it is time for change at Disneyland. Although I like Steve Martin as much as the next guy, the 3+ year old 50th Annniversary Film is getting a little creaky. 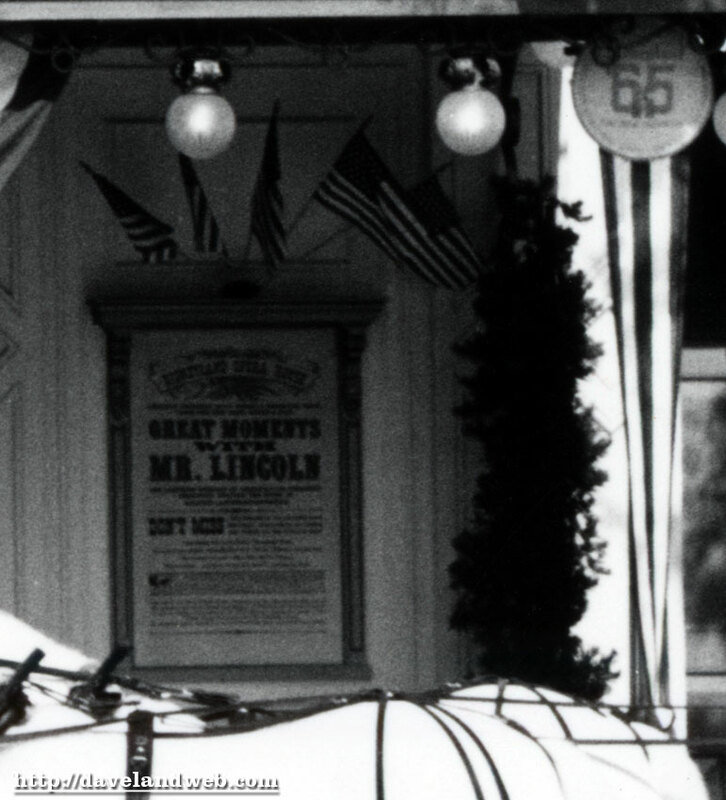 It is definitely time to bring back the true classic, Great Moments with Mr. Lincoln. 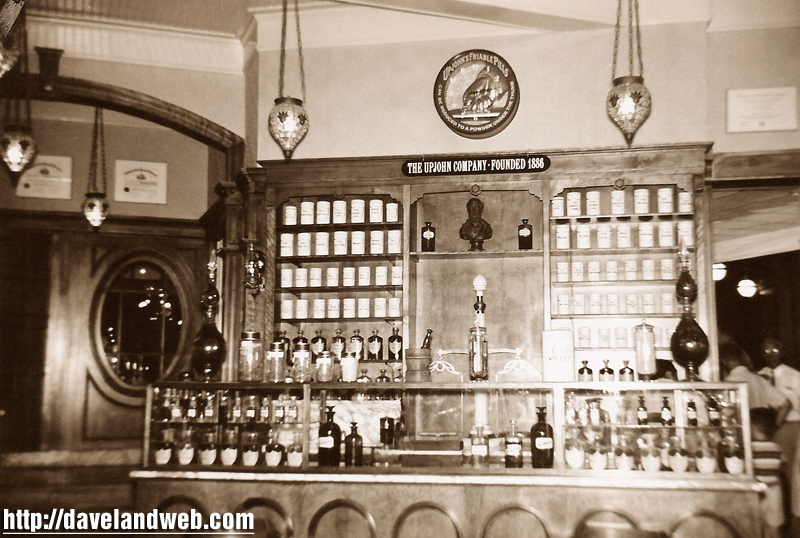 For you newbies who don't know about Ol' Abe, he used to be the star of the Opera House. 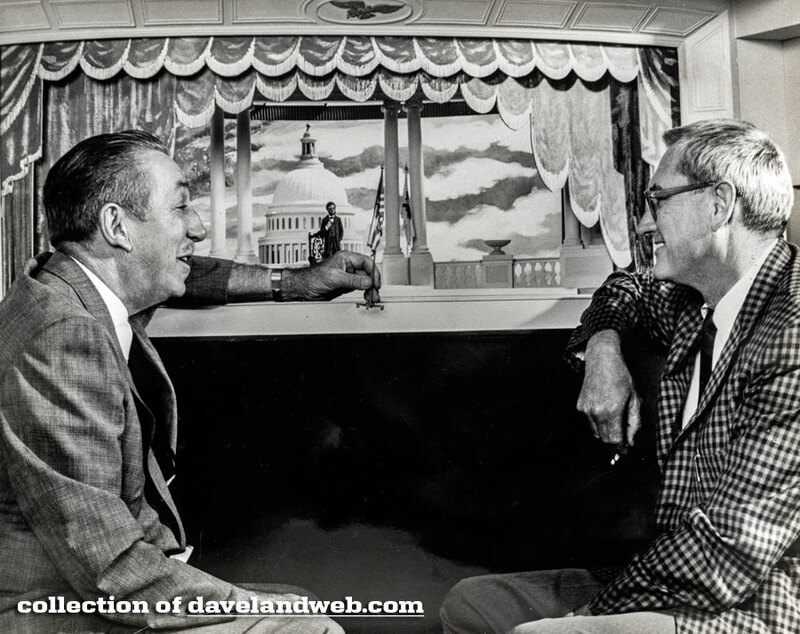 Picture #1 for today shows Walt with WED Project Art Director Victor Greene, perusing the miniature for the "Great Moments with Mr. Lincoln" attraction, 1965. I sure hope that's not a cigarette in Victor's left hand! 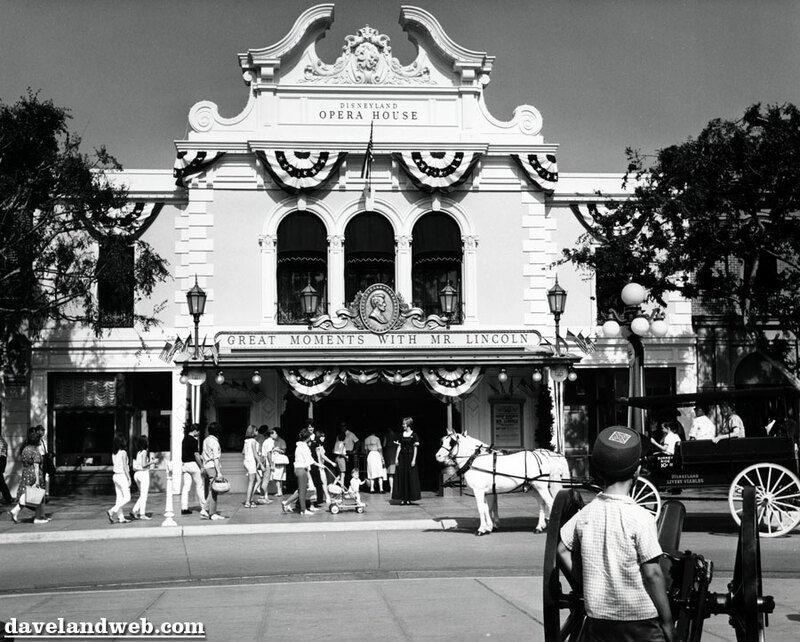 Photo #2 shows the Opera House complete with the Abe Lincoln marquee; love the giganormous penny! The little boy with the Confederate cap looks like he might be getting ready to blast the Bank of America. 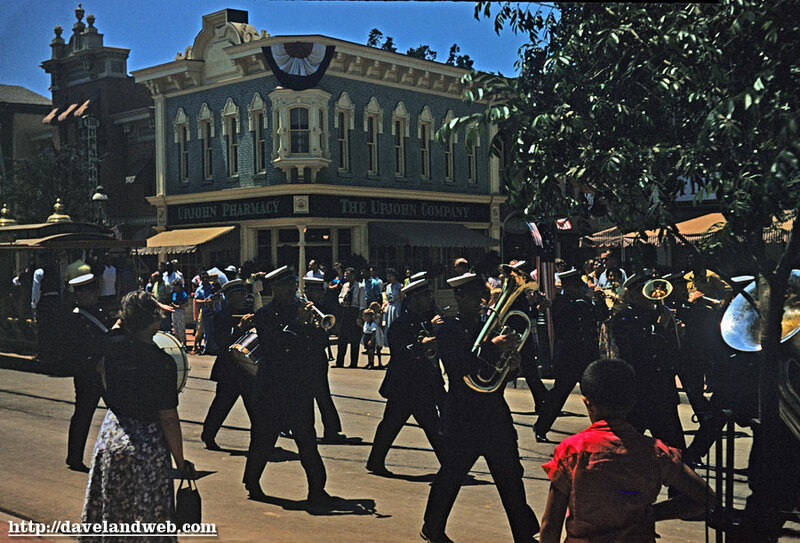 I've also included a close-up showing the Mr. Lincoln poster and the Tencennial lightpost banner. 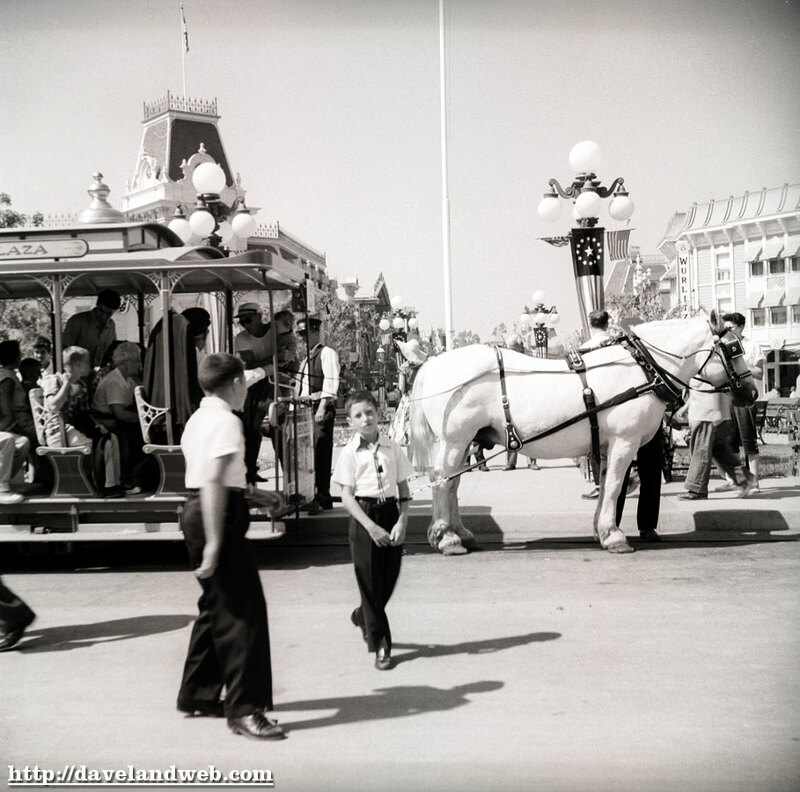 See more vintage & current Main Street U.S.A. Opera House photos at my regular website. 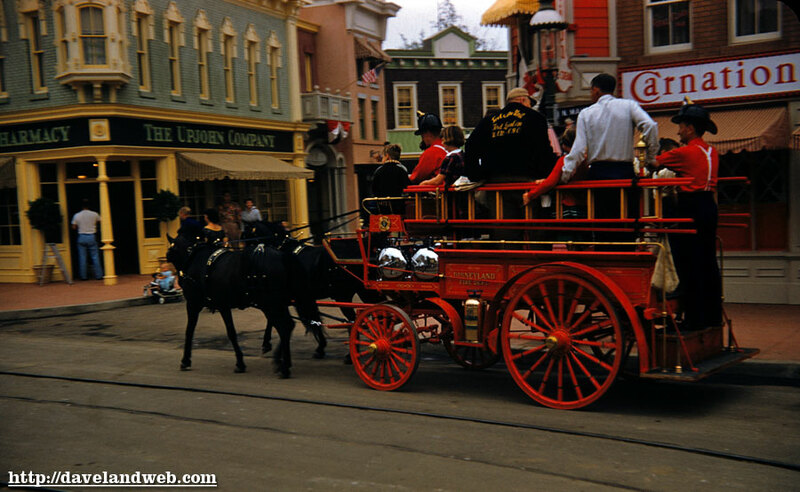 Finishing out the rest of the batch that included yesterday’s Stagecoach shots are these 3 images, starting with one of the Horse-Drawn Streetcar in Town Square. Although undated, the patriotic bunting tells me it must be summertime in the 1950’s. The look on this little boy’s face can only mean two things: "Dad, the Streetcar is full!” or “Dad, put the darn camera down!” Shot #2 is Central Plaza, with some lovely lasses crossing towards the Streetcar. Dig the cat-eye glasses! 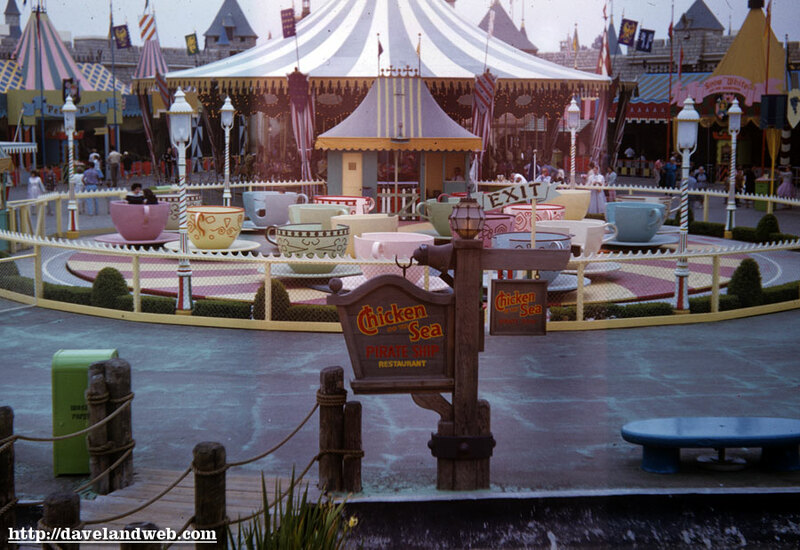 Last (but definitely not least) is a great view of the Chicken of the Sea Pirate Ship Restaurant. 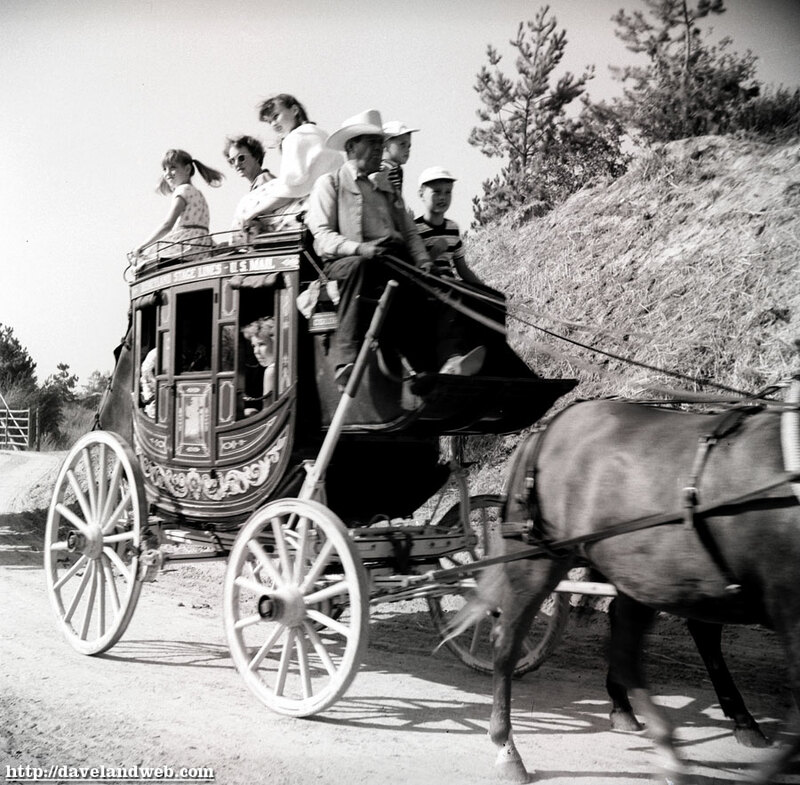 All Aboard the Disneyland Stagecoach! 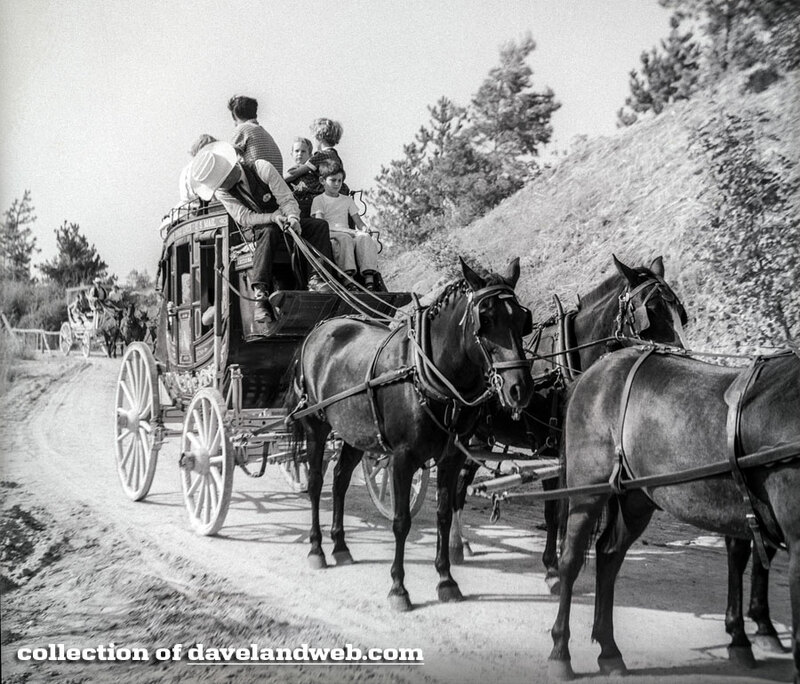 See more vintage Stagecoach photos at my regular website.